The only person charged in the ongoing corruption investigation at Dallas County Schools appeared in federal court on Tuesday, agreeing to plead guilty in a money laundering conspiracy. A soft-spoken Slater Swartwood Sr., 75, agreed to the conditions read to him by U.S. Magistrate Rebecca Rutherford, politely answering her with "yes, ma'am," and "no, ma'am." Swartwood took the money laundering plea deal during the Christmas holidays, in exchange for his possible testimony in the FBI investigation of Dallas County Schools and its business deals with a school bus camera company. In his guilty plea, Swartwood, of New Orleans, admitted funneling millions of dollars in bribes to a top DCS official — money that the government says came from the camera company, which had millions of dollars in contracts with DCS. 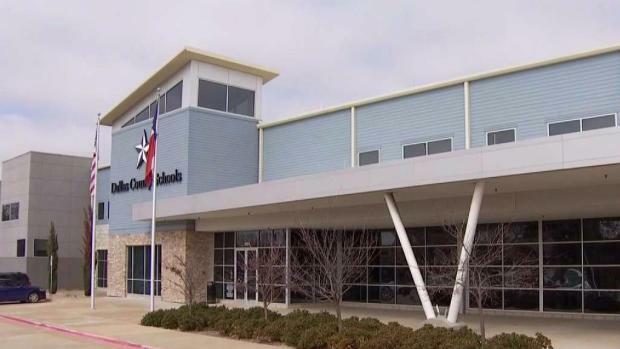 The dissolution committee appointed to close troubled bus agency Dallas County Schools sold the headquarters building Monday and took other steps to raise cash. The bribes were made, the government contends, as the company worked to equip North Texas school buses with surveillance cameras that were supposed to catch motorists illegally passing as students boarded and exited school buses. But the promise of lucrative returns from traffic fines never came, and, instead, the program cost taxpayers millions of dollars. Once NBC 5 Investigates began asking questions, and a federal probe began, the FBI served search warrants at the camera company's offices and at the home of the company's chief executive officer, Robert Leonard, also of Louisiana. Leonard, who has not been charged with a crime, said he did nothing wrong and blamed DCS of mismanaging the camera company. Previous administrators at DCS also denied wrongdoing, and none have been charged with a crime. Meanwhile, voters frustrated by the missteps at DCS elected in November to begin shutting the government agency down after a century of operation. Records obtained by NBC 5 Investigates raise new questions about Dallas Mayor Pro Tem Dwaine Caraway and his relationship with two men at the center of the FBI corruption investigation at Dallas County Schools. Swartwood was a long-time associate of Leonard's, working as his "real estate consultant." During his arraignment, Swartwood wore a dark blue suit, with a neatly folded handkerchief in his front pocket, looking more like a bank president than someone facing a possible term of five years in federal prison. In response to a question by Rutherford, the magistrate, Swartwood said he graduated from college. He also said he spent one year in law school, a hint at the fact that his brother is a retired federal judge from Boston, and his father was a state court judge in New York. 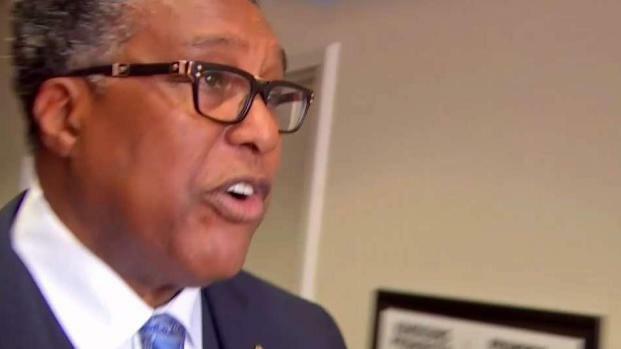 Another Swartwood acquaintance is Dallas Mayor Pro Tem Dwaine Caraway, who has told NBC 5 Investigates that he worked as a consultant for a company owned by Swartwood, during a time when the company was looking to buy property in south Dallas. Caraway said the company also loaned his family $20,000. As the leader of one of the largest cities in the United States, Dallas Mayor Mike Rawlings meets and greets a lot of people. He now has second thoughts about one of those introductions, and what he would do afterwards. But he said he knew nothing of Swartwood's involvement with DCS or its deals with Leonard's camera company. Flanked by his lawyer, a family member and a friend, Swartwood was told after his arraignment that he would be freed, without bail, until his formal hearing by U.S. District Judge Barbara Lynn.